Monday July 30, 2018 - Orange Democratic Movement (ODM) Party MPs have declared support for Migori County's Senate nominee, Ochillo Ayacko, and warned anyone in the region who will oppose him of dire consequences. Led by ODM Chief Whip and Director of Elections, Junet Mohamed, the MPs threatened disciplinary action against any party leaders who opposes the decision. 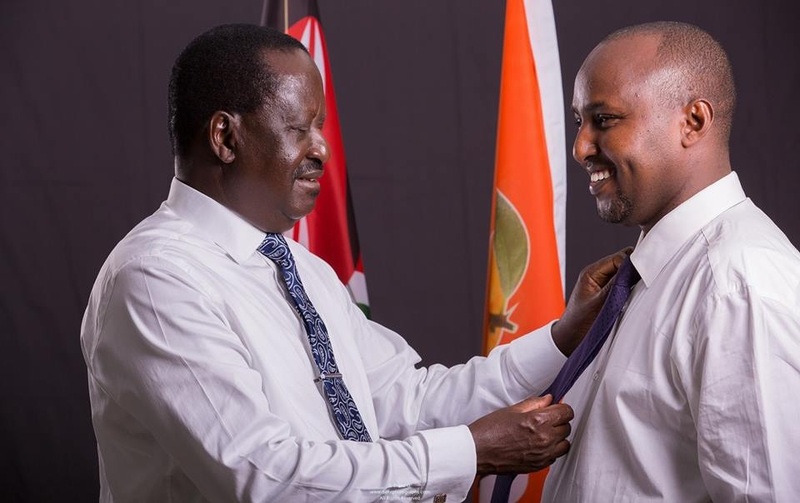 “If you are an ardent supporter of ODM, an MCA or MP, kindly support our man," said Junet Mohamed, who is also the Suna East MP. This comes even as Migori Governor, Okoth Obado, vehemently opposed the candidature of Ayacko, vowing to campaign for other candidates. Speaking separately, ODM Director of Political Affairs and Ugunja MP, Opiyo Wandayi, told Obado to brace for strict party disciplinary action should he fail to abide by the decision and support other candidates in the upcoming by-election. "We shall not tolerate or bear with you regardless of who you are if you dare tear the party or campaign against it as resolved," said Wandayi.